The Vava II in Boston Harbor on Monday. 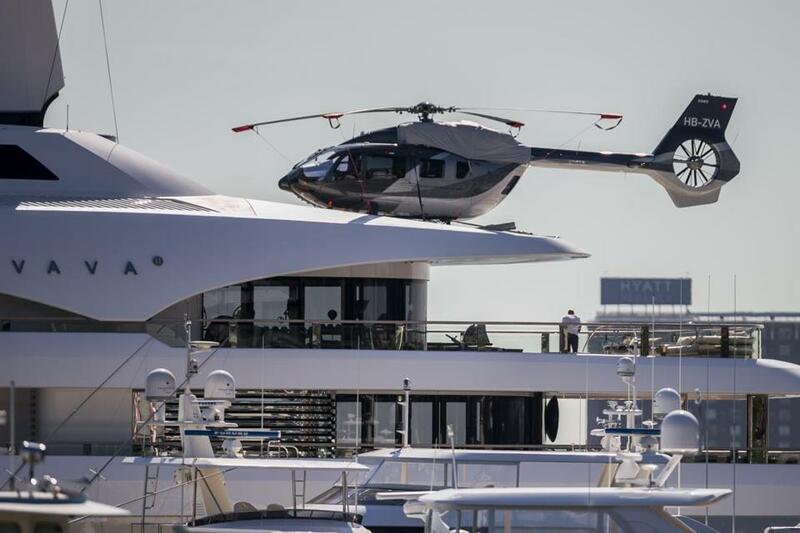 A massive yacht — so big, in fact, that it comfortably fits a helicopter on its upper deck — was spotted floating around Boston Harbor this weekend, and anchored near Peddocks Island. The superyacht, called the Vava II, is said to be owned by Swiss billionaire Ernesto Bertarelli and his wife, Kirsty, a former Miss United Kingdom title-holder and singer, according to the Daily Mail. The boat first set sail in 2012 and cost an estimated $150 million to build, according to reports. As of Monday morning, the roughly 315-foot vessel was moored near Long Wharf, not far from the city’s Harbor Walk, according to MarineTraffic.com, which tracks large boats and their travel routes on the open seas via satellite. Ernesto Bertarelli’s reason for cozying up to the city’s shoreline (if he is indeed on the yacht, which has not been confirmed) shouldn’t be surprising, even if the size of his boat is enough to make your jaw drop: The biotech entrepreneur apparently has ties to the area. According to his biography on Bertarelli.com, the sailing enthusiast graduated from Babson College in 1989, and he earned an MBA at Harvard Business School four years later. He also has a passion for yachts — beyond enjoying them for luxury purposes. Rick Canale, whose family owns Exotic Flowers, said he prepared a large flower order for the crew on the yacht — though he didn’t speak with its owners or know who the delivery was for. Canale said it’s not unusual for yacht owners to reach out to his business when they dock in Boston and ask for some fresh flowers to display on-board. This order, however, was a bit different, he said. The Vava II in Boston Harbor. This isn’t the first time that a massive vessel has turned heads as it arrived to Boston waters for a brief stay. 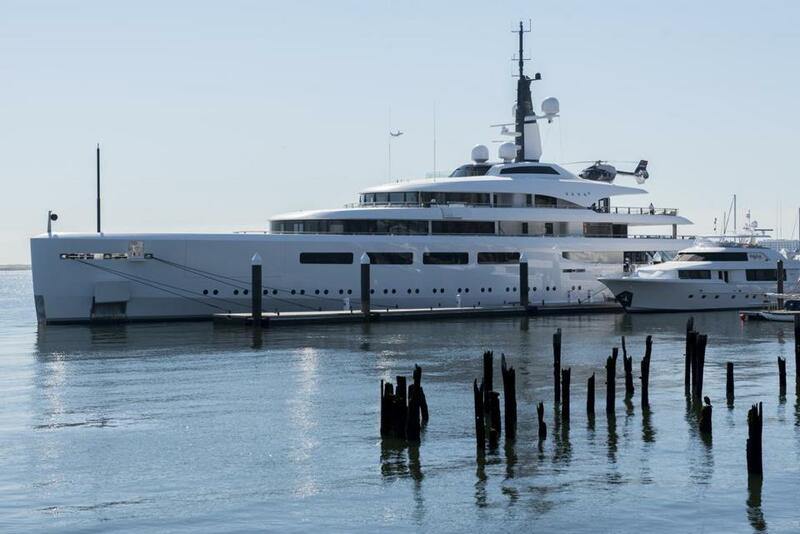 In 2016, a 288-foot-long superyacht, complete with a basketball hoop on deck, was docked in the city. At the time, Boston police shared a picture of the boat on Twitter, and said it was owned by Dallas Mavericks owner Mark Cuban. But the television personality staunchly denied those rumors — many, many times, in fact — by repeatedly saying he had no connection to the vessel.